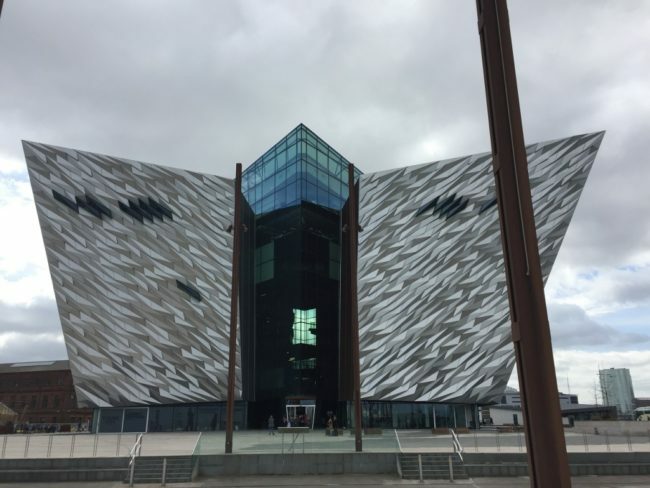 Northern Ireland and the Atlantic Coast – The Great Canadian Travel Co. Journey back in time on this 5-day tour. Learn about the fierce battles that were fought, explore the ancient castles and listen to modern tales of Belfast and the Celtic beliefs of Giant’s Causeway. Unravel the secrets that make the Emerald Isle what it is today. Prices are shown in US$ per person based on two people sharing a twin room and one person in a single room. Child prices are for children ages 5-15 sharing a room with an adult for for two children sharing a room. Children under 5 are not accepted on this tour. Leaving Dublin, you will head north to Belfast and take part in a short city tour that goes through the city’s hopes, dreams and heartaches. You will have time for lunch and exploring in the Titanic Quarter, restored from the time the famous liner was built and launched in 1911. You can visit the Titanic museum, check out the HMS Caroline or take a black cab tour of the city. 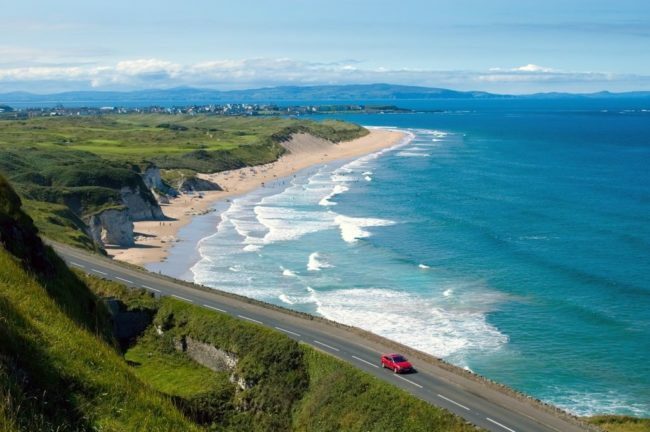 Leaving Belfast, you will travel through the Antrim Coast and Glens, which is an official Area of Outstanding Natural Beauty. 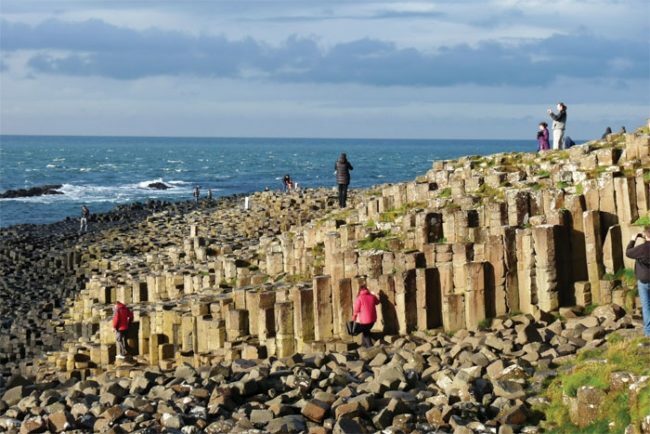 Winding along the roads from Ballycastle, you enter the beautiful Giant’s Causeway, a geological mystery. Leaving the giant steps behind, you travel on to Portrush, a wonderfully charming fishing village where you will stay for the night. 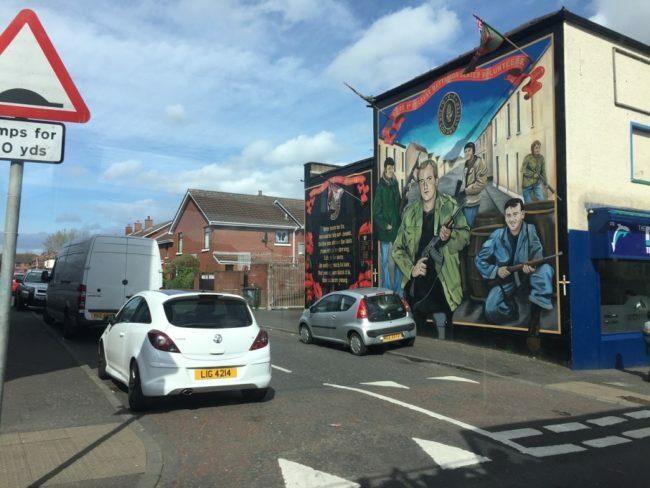 The City of Belfast – A city steeped in the history and heartaches of Ireland. The Titanic Quarter – See the regenerated waterfront where the Titanic was constructed and explore the tragic histories of the people who built it. Giant’s Causeway – Feel the power of Irish giants in the unique and breathtaking coastal formations of the Causeway. Portrush – Relax in this small but charming coastal resort town. Derry – Enter the only completely walled city in Ireland and the British Isles where markets, spires and museums await within. Donegal – Venture into this land of castles, rugged coasts and thick forest, where Gaelic culture is writ large and proud. County Mayo – Explore the typical Irish scenery and magnificent wildlife of this land with a tragic past. 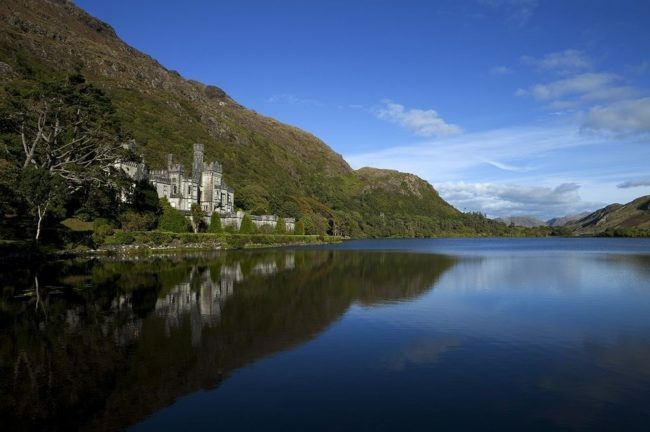 Kylemore Abbey – A refuge for Benedictine nuns fleeing World War 1, this incredible neo-gothic building is steeped in the scars and bravery of world history. 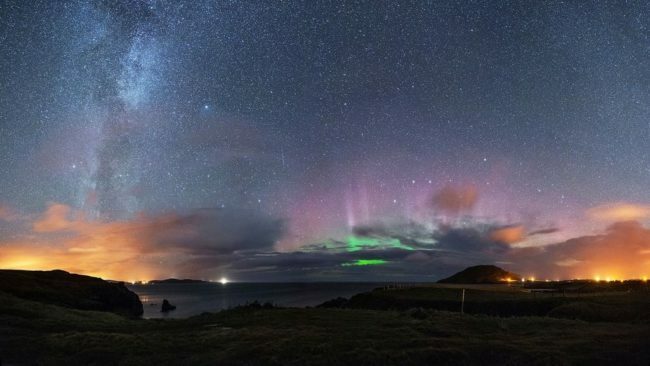 Connemara National Park – Stunning vistas and superb wildlife abound within this famously serene park. Clifden – The “Capital of Connemara”, this historically significant site is where the first transatlantic flight landed. The Sky Road – 11km of heaven, you’ll see the Ireland only usually glimpsed on postcards and travel blogs. Visually arresting landscapes offer views that will fill your senses. The Twelve Bens – The towering peaks of twelve mountains above a rare bog habitat and pristine lakes, this is a dramatic area that always teems with wildlife. Cong, Lough Corrib – Museum dedicated to “The Quiet Man” and the restored 12th century Cong Abbey. Maam Valley – Towering mountains on both sides of the valley. Galway Town – Stone clad buildings line the winding lanes and medieval walls of this ancient harbour city, all accompanied by the strains of traditional music pouring from cosy pubs. 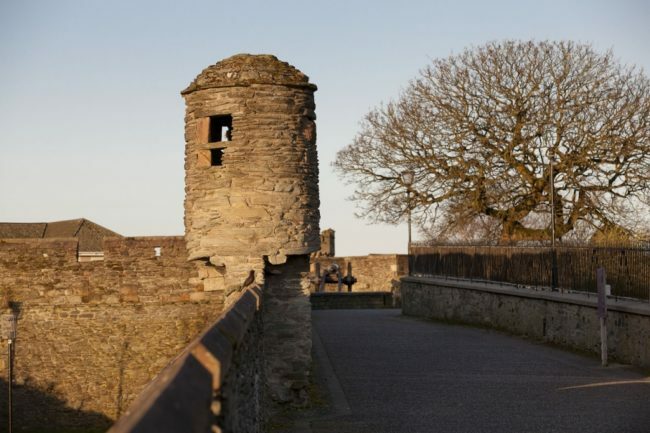 After a good night’s rest, you will travel back to the 17th century as you head to Derry, the walled city that has beautiful ornate gates, museums, galleries and great markets. 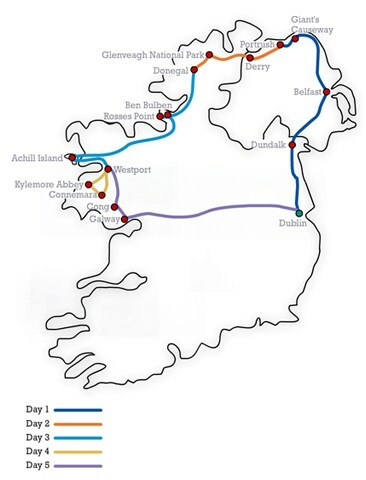 From Derry, your journey will take you to County Donegal and then Glenveagh National Park past Mount Errigal, the tallest peak in County Donegal at 751 metres tall. Leaving Glenveagh National Park, you will make your way through the fishing villages of the area with plenty of time for walks, photo ops and immersing yourself in the local culture. After a hearty breakfast, you will continue on your journey south along the coast near Donegal and into the area that is home to the famous poet WB Yeats. From this location, you have beautiful views of Benbulben Mountain. Your next stop is Carrowmore, where you will have the chance to see the largest collection of megalithic tombs in Ireland. Some of these tombs date all the way back over 6000 years. Travelling west, you will enter an area, called County Mayo, that was ravaged by the Great Potato Famine that occurred between 1845 and 1852. Journeying down the curvy roads, through farmlands and bogs, you will eventually reach the Atlantic coast and Achill Island. Watch as the waves crash over the rugged coastline, and listen to the sounds of the sea. From here, it is a short jaunt to Westport where you will be staying for the next two nights. You will be able to explore Westport and Connemara National Park today as it is a free day for you to wander. Let your guides know what your plans are and they will make sure that you take the best route to get as much out of this day as you can. 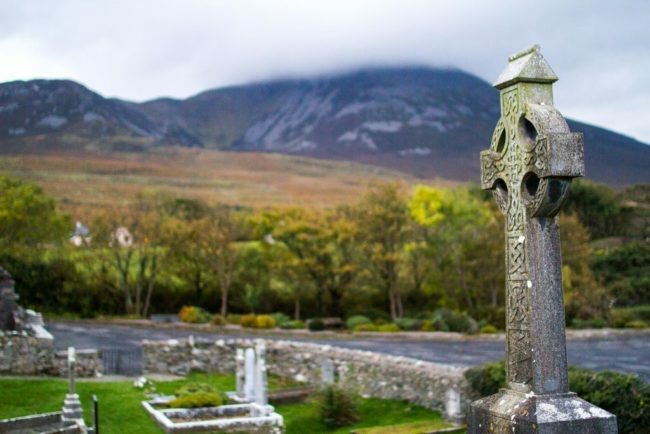 The options are many: visit the amazing house and grounds of Kylemore Abbey, tour Connemara National Park, Clifden, or travel the Sky Road and see the Twelve Bens of Connemara. After a full day of exploring, your taste buds will thank you when you return back to Westport and fill up on local seafood in one of the town’s many restaurants. Leaving Westport, you will continue your Irish adventure through Connemara to arrive in the town of Cong on the shores of Lough Corrib. While here, you can choose between wandering through the exhibits of the local museum dedicated to the movie, “The Quiet Man”, or you can visit the restored 12th century Cong Abbey. En route to your final destination, you will travel through the Maam Valley, with mountains towering on either side of you, to Galway City. There, you will be able to dine on fresh, local seafood before you head to Locke’s Distillery, the oldest licensed distillery in the country. After you are sufficiently hydrated, you will make your way back to Dublin.